The AVP AV-K448E15-KMN SuperHD+ Mosaic Video Jackfield for Microsize Jack is a front-mount 3.0 GHz to 3 Gb/s micro dual video jack that meets the SMPTE 424M-2006 specifications. 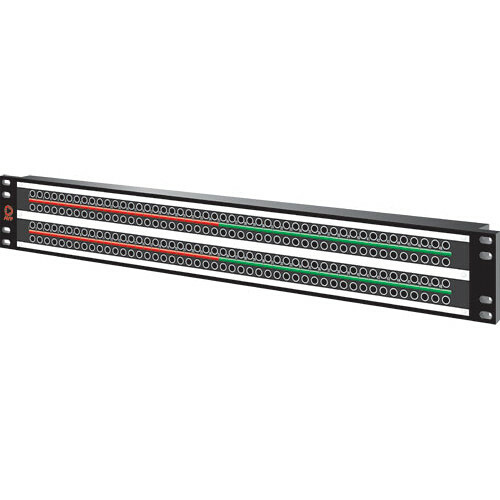 It features an industry standard DIN 1.0/2.3 rear termination and allows 96 channels / 192 patch-points in a 1.5 RU, 19” (48.26cm) rack. It features 20,000 life cycle rating and multiple jack configurations. Box Dimensions (LxWxH) 27.0 x 11.0 x 6.0"